← What I am For! Students and teachers in the surrounding area needed to be unfamiliar with molecular biology. Local school was not taught in English and English was seldom used in the community. In a “Hole-in-the-wall” computer, there was internet access and basic computer functions. This computer was available to everyone in the village and was placed in a public location. Selected some material from the internet for student to use to explore molecular biology. Mediators were chosen to encourage the children in the learning process – they had no knowledge of molecular biology and little understanding of the technology being used. Everything on the computer was in English. The people in this study spoke Tamil. The “Hole-in-the-wall” computer was made available to everyone in the community, children were usually the ones using it. The use of the computer was not organized, people could come and go as they pleased. Students self-organized into small groups and spent around two hours a day exploring on the computer. Typically there was one student doing the clicking and two or three others observing and talking about what was happening. Students were given a pre- and post test, then were given another post test to verify results statistically. Students were tested after 75 days on their own, then a mediator was introduced. The students were tested 75 days after this (150 days total). Results were compared with a government run school that was a few kilometers away and a private school from New Delhi. This comparison could be made because molecular biology is a standard that is required in India and the curriculum used is similar across the schools. The students from the village, using the “Hole-in-the-wall” computer performed better than the students taking a similar course in rural government school a few kilometers away. They did not outperform the private school students, although the “Hole-in-the-wall” students were not far behind their more affluent peers. Now take a look at what Chickasha High School is doing with their personalized learning campus. I am not aware of how this will be organized, but if done in a similar was to Mitra’s study then this could be fascinating to watch. An adult, encouraging students to explore more, seek more, find more can lead those students to incredible learning. 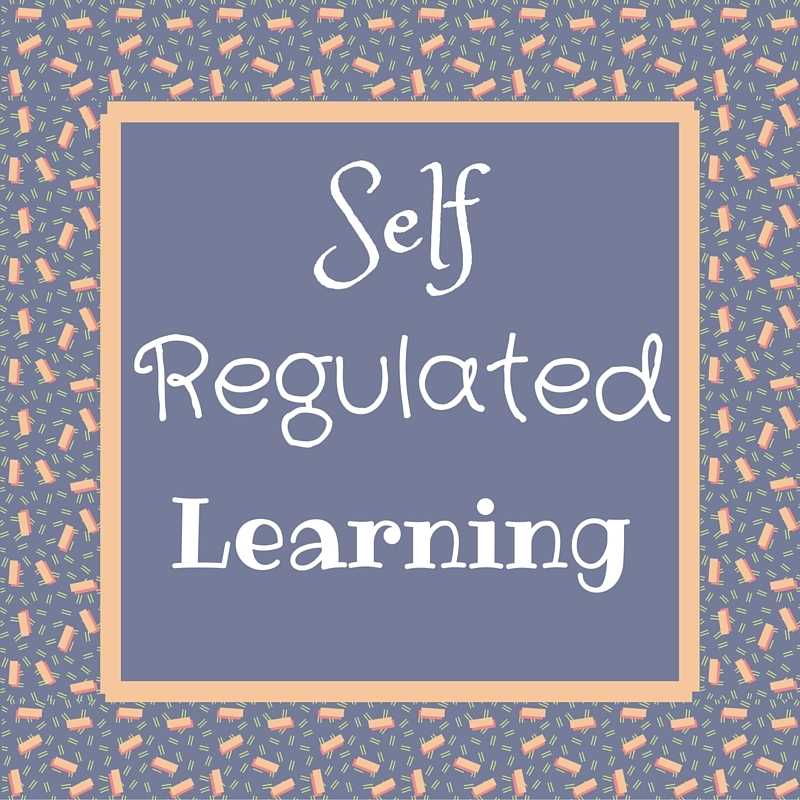 3 Responses to "Self Regulated Learning"
I’ve read a lot about Mitra’s work but have never gone to the article directly. Thanks for the link!!! I’ll be Considering it most carefully in the days to come for sure. Without having read the article as yet, I’m wondering if this Oklahoma school use you refer to might not align well with a thought I’ve had for a while: “Home schooling with enhancements.” I envision a list of topics for mastering based upon appropriate state standards. In my mind, the students would be working in large rooms in the schools, rooms with lots of wifi access, lots of movable furniture, a maker space – with 3-D printers and ‘shop tools’ as appropriate. Around the outside of these rooms would be offices for teacher facilitators, ‘seminar’ rooms for facilitating students-requested teacher input / feedback, conference rooms, and other rooms for uses needing isolation – including possibly some of the shop tools. Students would maintain an e-portfolio of progress toward mastery of the list of topics – with this portfolio including the ongoing self-assessment of the process, the mastering of effective learning, and the presentation of the outcomes of use of that information. Students would be responsible for periodic updates on current efforts to all students in their cohort and for reaching out to work with other students needing help, at comparable levels, or supplying help. Acceptance of mastery of any topic would rely heavily on the e-portfolio and the presentation (open to the public) on the culminating project. Don’t know if I mentioned it specifically in my contents – but from your post, it seems clear that the facilitator would be clearly important as I Consider the referenced link you supplied. I don’t make a big deal of it in my writing, posts, and comments – but I believe content knowledge is significantly overrated in facilitating Effective Learning!